Get ready for some kawaii awesomeness this festive season as Hello Kitty & Friends land at Changi Airport to greet their fans. Comprising eight characters, the popular Sanrio friends – Hello Kitty, Dear Daniel, Cinnamoroll, Gudetama, Little Twin Stars (Kiki and Lala), My Melody and Pompompurin – will be delighting travellers and airport visitors in person this year-end holiday season. Singapore Changi Airport started the year on a strong note, handling 4.86 million passenger movements in January 2016, a 10% year-on-year increase. Changi Airport welcomes today the addition of West Air to its family of airlines, with the arrival of the airline’s inaugural international flight from Chongqing tonight. 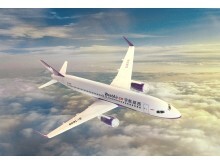 With the launch of this flight, the Chongqing-based airline will commence operation of a thrice-weekly service between Singapore and the Western Chinese city on an Airbus A320-200, with a capacity of 180 seats. 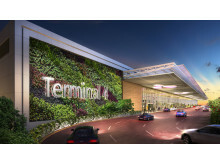 Changi Airport Group (CAG) today welcomed the announcement by United Airlines of its plan to launch non-stop passenger services between Singapore (SIN) and San Francisco (SFO) in June this year. 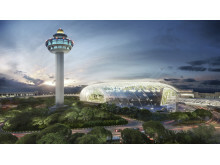 Singapore Changi Airport capped a resilient performance in 2015 with new benchmarks for passenger traffic and aircraft movements, handling a record 55.4 million passengers and 346,330 landings and take-offs during the year. 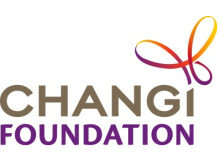 This represented an increase of 2.5% and 1.4% respectively. 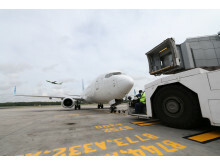 On the cargo front, airfreight movements remained stable at 1.85 million tonnes for the year. Singapore Changi Airport handled 4.64 million passenger movements in November 2015, an increase of 5.0% year-on-year. Aircraft movements were also 2.5% higher with 28,730 landings and takeoffs. Cargo shipments improved 2.5% to 160,500 tonnes, compared to the same period last year. Passenger traffic at Singapore Changi Airport grew 2.5% year-on-year in October 2015, with 4.60 million passengers travelling through the airport. There was an increase of 1.8% in airfreight movements, with 162,500 tonnes of cargo handled during the month. Aircraft landings and takeoffs increased by 4.3% to 29,610, the highest mark thus far this year. In a dream-come-true for many travellers, Singapore will soon be directly connected to Fiji and the romantic paradise of tropical islands in the South Pacific. Changi Airport and Fiji Airways marked a new milestone today with the announcement of non-stop passenger services between Singapore and Fiji, representing Changi Airport’s first direct air link to the South Pacific Islands. 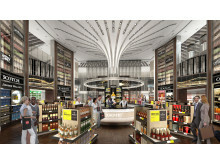 Singapore Changi Airport handled 4.42 million passengers in September 2015, an increase of 3.9% year-on-year. Aircraft landings and takeoffs also grew by 5.3% to 28,460. On the cargo front, 155,100 tonnes of airfreight were processed last month, 4.9% higher than a year before. Passenger traffic at Singapore Changi Airport grew 6.6% year-on-year in August 2015, with 4.96 million passengers passing through the airport. Air traffic movements also grew, with a total of 29,610 landings and take-offs recorded during the month, or 4.4% more compared to a year ago. Singapore Changi Airport handled some 4.89 million passenger movements in July 2015, an uplift of 6.8% from last year, registering the highest year-on-year growth in monthly passenger traffic so far this year. In tandem, flight movements rose 4.3% to 29,400. During the month, 147,500 tonnes of airfreight were processed at Changi, a 4.8% decrease on-year. Passenger traffic at Singapore Changi Airport increased 1.0% in June 2015, with 4.70 million passengers passing through the airport. This was Changi Airport’s busiest month so far this year. In terms of flight movements, a total of 28,530 aircraft landings and take-offs were recorded during the month, a growth of 1.4% year-on-year. 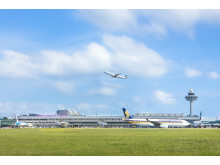 Changi Airport Group (CAG) and Xiamen Airlines have signed a memorandum of understanding (MOU) to jointly collaborate on initiatives to grow connectivity and passenger traffic between Singapore and China. Singapore Changi Airport handled 4.48 million passenger movements in May 2015, a growth of 2.6% compared to the same period in 2014. Flight movements increased by 0.4% to 29,000. During the month, 157,000 tonnes of airfreight were processed at Changi, a 0.3% decrease year-on-year. Singapore Changi Airport handled 4.39 million passenger movements in April 2015, up 0.2% from a year ago. 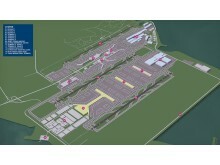 On the cargo front, airfreight shipments at Changi grew 1.6% to 153,400 tonnes. However, there were fewer aircraft landings and takeoffs during the month, down 0.4% on-year to 28,260. 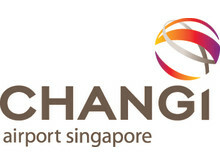 SINGAPORE, 27 April 2015 – Singapore Changi Airport recorded 4.54 million passenger movements in March 2015, 0.9% higher than a year ago. Aircraft movements were 1.2% fewer with 28,800 landings and take-offs, and cargo movements fell 4.2% to 162,700 tonnes. Passenger traffic at Singapore Changi Airport grew 0.3% on-year in February 2015, with 4.12 million passengers passing through the airport. There was a 7.3% increase in airfreight movements to 136,000 tonnes of cargo processed during the month. Aircraft movements decreased by 1.0% to 26,490. Singapore Changi Airport handled 4.42 million passenger movements in January 2015, 3.8% less than a year ago. In tandem, aircraft movements decreased 5.2% to 28,800. 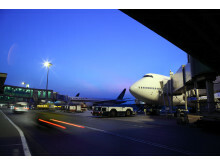 Airfreight movements rose 1% to 151,800 for the month. Singapore Changi Airport handled 4.42 million passenger movements in November 2014, a decrease of 1.1% year-on-year. Aircraft movements were 5% lower with 28,000 take-offs and landings. In the same month, 156,500 tonnes of cargo was handled, 2.2% lower than a year ago.